Over the last century there have only been two periods of time when global growth investing (looking for companies that offer strong earnings growth and are likely to grow faster than the economy) has outperformed global value investing (seeking stocks that have fallen out of favour and are undervalued, but still have good fundamentals); the Great Depression in the 1930s and the Tech Bubble during the late 1990s. But, according to research from Schroders, the underperformance of value versus growth since the global financial crisis hit a decade ago has been the most extreme on record*. While this may also be the perception in the UK, investors may be surprised to hear that, since the last stock market trough in March 2009, UK value stocks have still outperformed their growth peers: the MSCI United Kingdom Value index has returned 227.33%** compared with 189.96%** for the MSCI United Kingdom Growth index. It’s only over the past five years that growth has done better – outperforming value by 7% over the period with returns of 48.96%*** compared with 41.74%***. Does this mean the UK is playing catch up and value investing will lag growth investing for the foreseeable future? Or are our companies bucking the global trend? Here, three Elite Rated managers explain why value investing is not dead, it’s just resting, and evidence that, with good stock-picking skills, you can outperform even when your style is out of favour. Richard Colwell, who heads up the Threadneedle UK Equity Income fund, says there is still a wealth of opportunities for UK value investors. “We have seen a prolonged period of growth outperforming value, largely due to markets being very sensitive to swings in investor sentiment. It meant the elastic between styles had become too stretched,” he said. He pointed out that whole sectors of the UK equity market – such as leisure, retail and media – have fallen out of favour because of Brexit fears and the fact that most of their earnings come from the domestic economy, rather than from overseas. “You could consider UK equities an each way bet for 2018,” he explained. 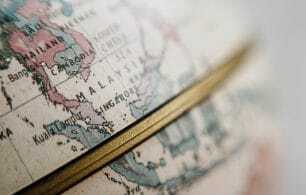 “If equities around the globe perform well, then at some point UK equities should catch up. But if global equities struggle, then UK equities ought to be more resilient due to their low valuations. Threadneedle UK Equity Income has returned 65.11%*** over the past five years. Ben, who runs the Jupiter UK Special Situations fund, said investors need to remain focused on the long term. 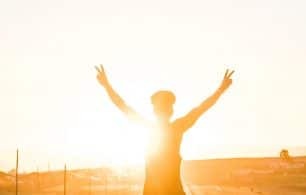 Even though value has underperformed for some time, he believes it simply means that now is a good time to make the most of attractive valuations. Like Richard, Ben also pointed out that the UK equity market is an attractive place to go fishing for value opportunities at the moment, particularly in the consumer and business services sectors. This is because many fund managers around the world have a negative opinion on the UK. “The reason for this sentiment is Brexit, the uncertainties around the UK’s relationship with the European Union, and what that might mean for the economy,” the manager explained. “History shows us that one way to outperform over the long term is to buy stocks when the valuation is low. The tricky thing at the moment has been that buying stocks on high valuations has been the secret to getting the best returns. Jupiter UK Special Situations has returned 61.88%*** over the past five years. Hugh, manager of R&M UK Equity Long Term Recovery, believes there are “exceptional” opportunities in the world of value investing at the moment. “Value has continued to be out of favour, as other investors have been happy to pay more and more money for established growth companies – because of the low interest rate environment – while ignoring the attractively-priced stocks which offer plenty of cash flow and are available from all sorts of lower-profile industries,” he said. Interestingly, one area of the market which Hugh is finding attractive value opportunities in is technology – a sector which makes some investors nervous because of its typically high valuations. However, the manager explained it is down to due diligence and individual stock selection in order to seek the best opportunities. R&M UK Equity Long Term Recovery has returned 94.57%*** over the past five years. 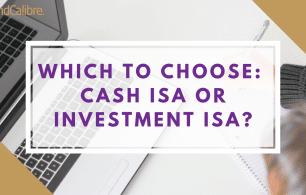 Cash ISA or Stocks & Shares ISA: which option is best for you?